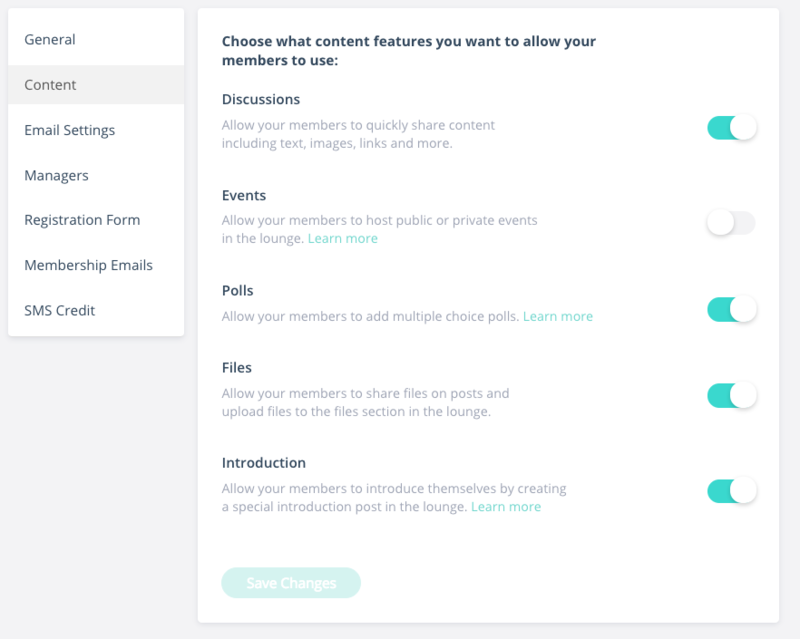 You can control how your members behave inside the group's community Lounge by selecting which actions you'd like to allow them to make. This is available in the group Settings, and these settings are unique to each group. You can always turn the capabilities on/off in the group's settings under Content.